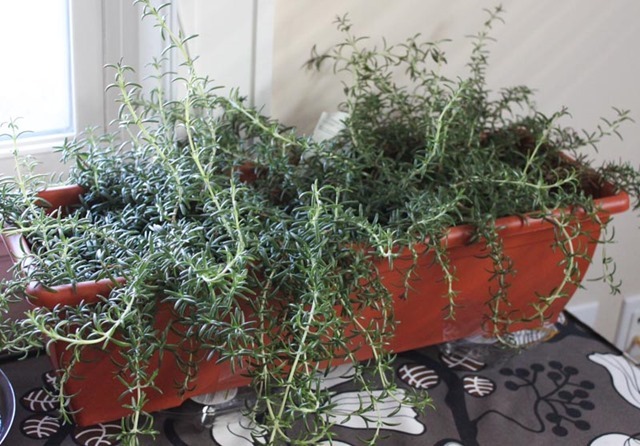 Our rosemary plant has been growing like crazy lately! Aside from putting it in literally everything Thanksgiving dish I made this year, I realized I needed to think of other things to do with it. 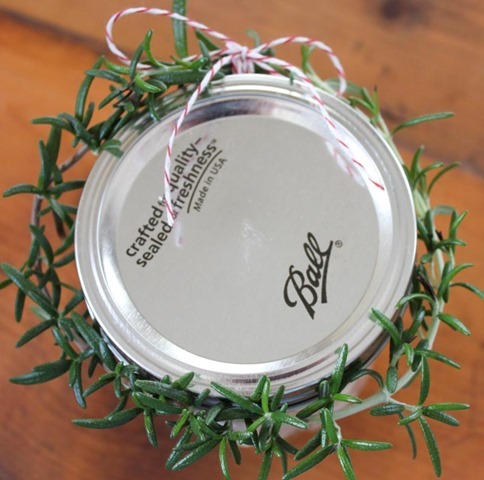 You know what that means – crafting! 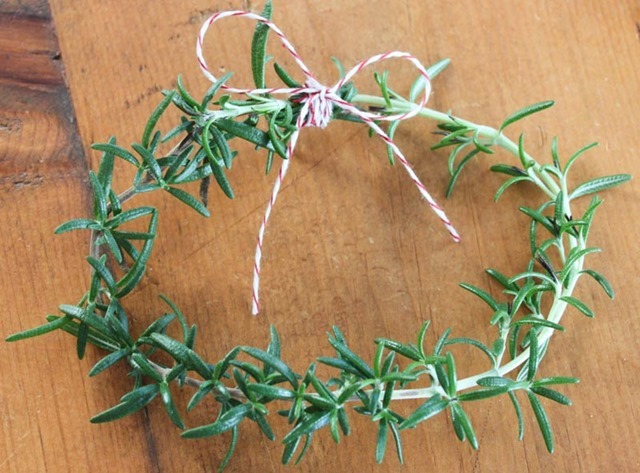 To make the following festive rosemary wreaths all you’ll need is a few rosemary springs, baker’s twine, and scissors. 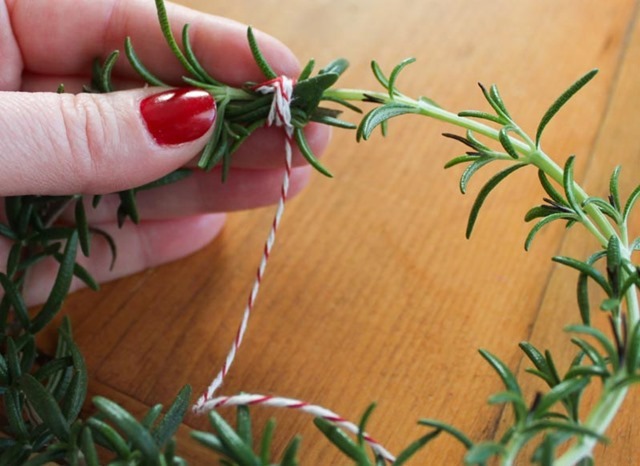 form a circle shape, overlap the ends, and tie together securely with the baker’s twine (wrapping a few times around before knotting). 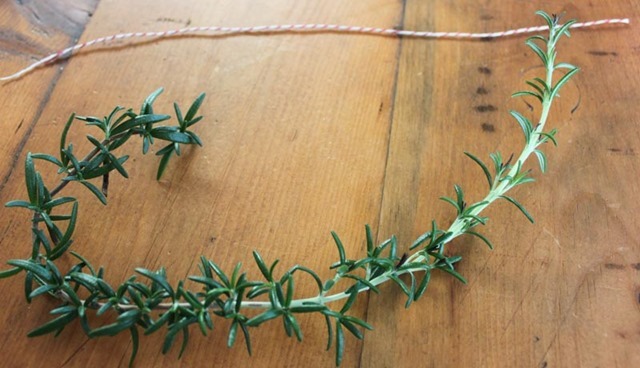 If you feel like you need more structure to the circle you can use florist’s wire. 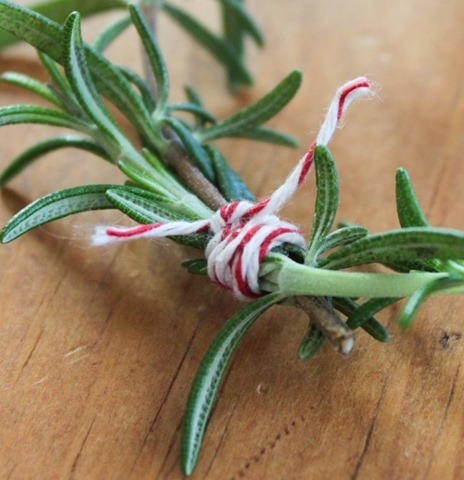 You can use another 3-4 inch piece of baker’s twine to tie a bow around the top to cover the knot. 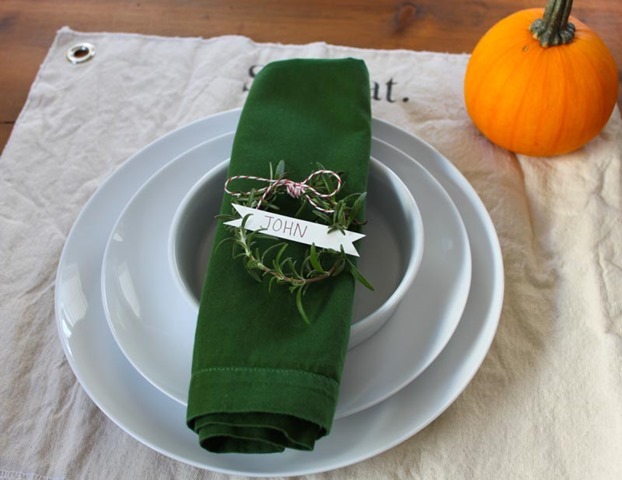 1) As a cute nametag for a holiday meal place setting. 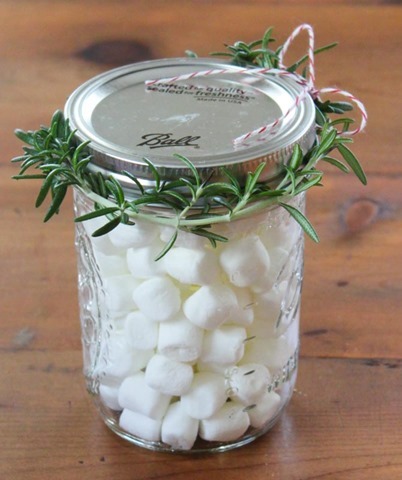 2) To top a mason jar full of goodies or holiday treats. 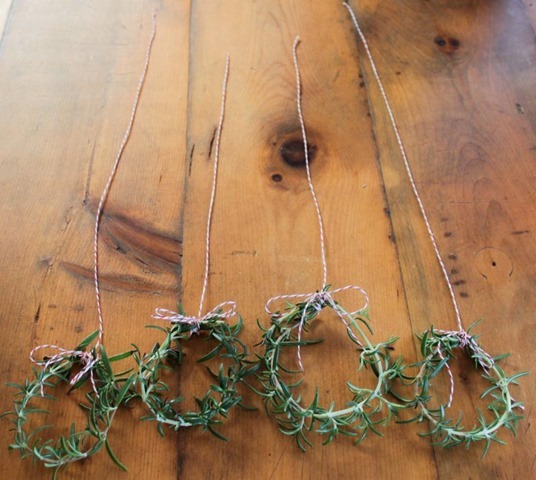 3) Or to simply hang as decorations! 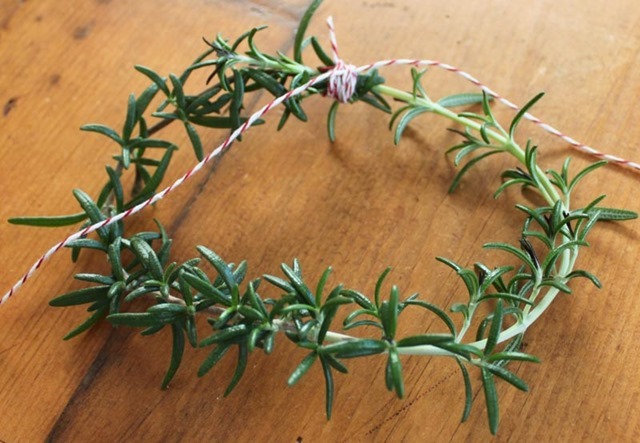 This project is cheap, cheerful, festive, and smells amazing. 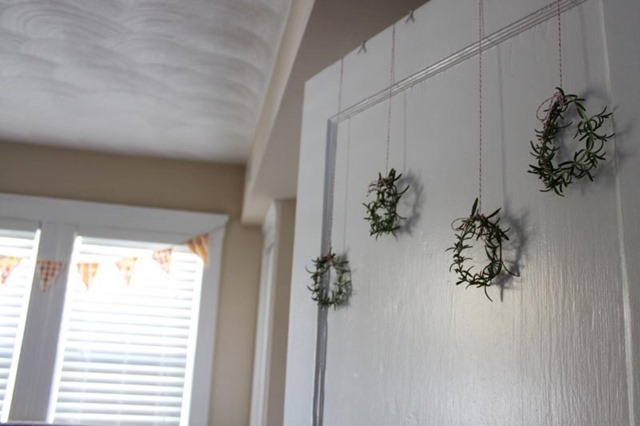 Happy holiday decorating!